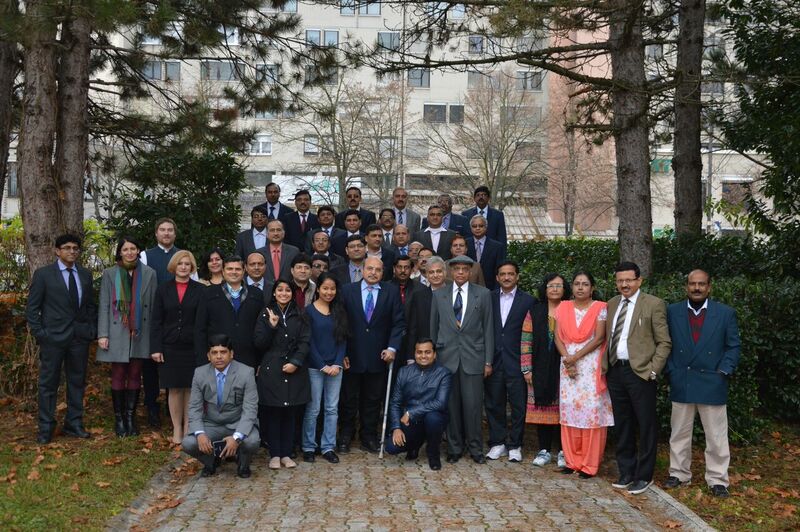 Between Monday, 30 November and Friday, 4 December 2015, ICPE organized a one week International Training Programme on Budgeting, Accounting and Financial Management, in cooperation with the National Institute of Financial Management (NIFM), India for the second time in the last two months. 33 senior officers of Government of India participated in the programme accompanied by Mr. KS Gopinath Narayan, NIFM Course Director and Ms. Shivalli Malhotra Chouhan, Director, Department of Expenditure, Ministry of Finance, Government of India. NIFM Director Mr Harsh Kumar was also present as a special guest of ICPE. The participants were exposed to best practices within the sphere of Financial Management in the EU and specifically in Slovenia, as well as Public incentives in infrastructure Public-Private Partnership (PPP) projects, Public sector accountancy in the EU, strategic planning of budgeting, The implementation of monetary policy in the Euro area, supervision of state accounts, integrity of public officers and other topics. Several government ministries, autonomous institutions and academic centres of Slovenia as also the central bank cooperated in the programme which was directed by Dr Suzana Saptefrati.